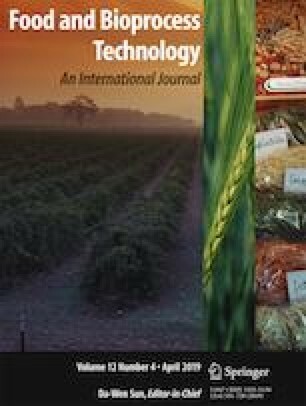 The significance of heat moisture treatment (HMT, 15% moisture content, 1 h and 120 °C) of single common wheat (WT), teff (T), chestnut (CN) and whole chickpea (CP) flours has been investigated (a) on main chemical, nutritional and functional flour parameters and (b) on visco-metric and thermal behaviours of treated blended breads. Characterization of native and HMT flours evidenced significant (p < 0.05) but discreet effects of the thermal treatment of flours on main functional parameters in terms of promotion of the ability of the flour to associate with water and of the formation of water-soluble molecules from small fragments of amylopectin or amylose. Dilution of the basic wheat flour system by accumulative addition of T, CN and CP flours submitted to partial or total HMT did impact on the disorganization and later reorganization of starch components of the starch-rich blended matrices in excess of water (pasting, gelling) and under water restrictions (retrogradation kinetics). Simultaneous presence of T/CN, T/CP and CN/CP either singly or fully thermally treated provided enhancement of the visco-metric profile on pasting and gelling, and decreased the extent and the rate of amylopectin crystallization on ageing. The authors acknowledge the Institutions Ministerio de Economía y Competitividad (MINECO) and Federación Europea de Desarrollo Regional (FEDER) for funding the Project AGL2015-63849-C2-1-R.